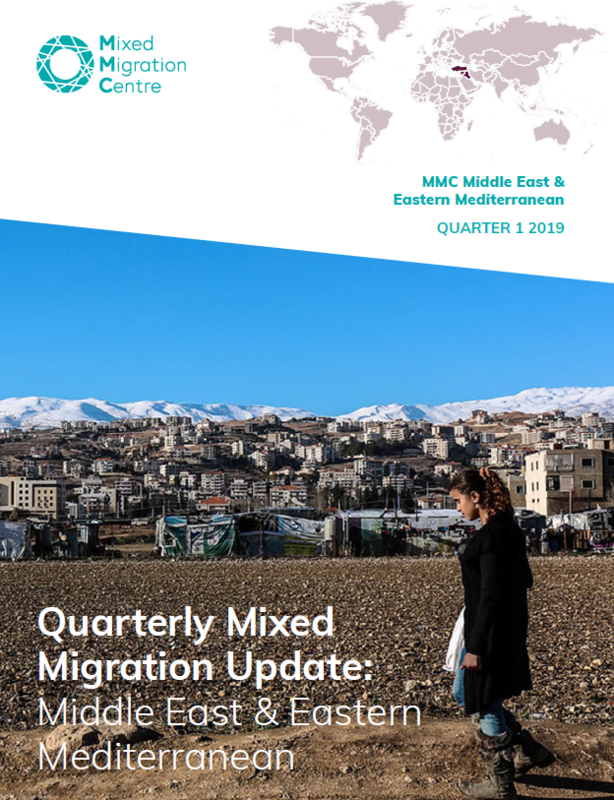 This Quarterly Mixed Migration Update (QMMU) covers the Middle East and Eastern Mediterranean region (ME). The core countries of focus for this region are Iraq, Jordan, Syria, Lebanon, Israel and Occupied Palestinian Territories (OPT), the Gulf Cooperation Countries (GCC), Turkey, Greece and countries of the Balkan Peninsula in Southeast Europe. Depending on the quarterly trends and migration-related updates, more attention may be given to any of the countries over the rest. The QMMUs offer a quarterly update on new trends and dynamics related to mixed migration and relevant policy developments in the region. These updates are based on a compilation of a wide range of secondary (data) sources, brought together within a regional framework and applying a mixed migration analytical lens. Similar QMMUs are available for all MMC regions.